Christie has debuted a brand-new range of laser phosphor projectors at Live Design International in Las Vegas. 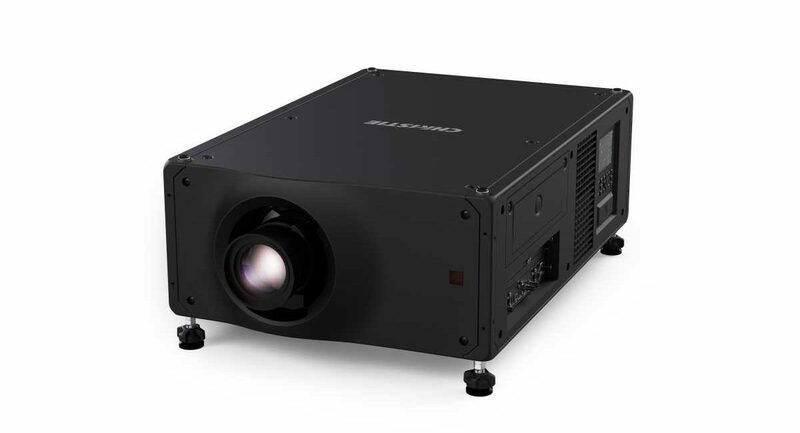 The Christie Crimson Series 3DLP laser phosphor projector delivers 25,000 lumens, and boasts 60Hz processing and the company’s BoldColor technology. Positioned as an upgrade from the M Series and J Series projectors, the Christie Crimson WU25 and HD25 allow customers to forgo the need to purchase new lenses, while still enjoying the lamp-free technology afforded by the new laser range. The company says that this should lead to a low cost of ownership for rental, staging, and fixed installation customers. Christie Crimson Series 3DLP laser phosphor projectors are expected to ship in February 2018. “Audiences will see an appreciable difference in both colour richness and brightness with Christie Crimson, never mind the 25,000 lumens,” says Curtis Lingard, senior product manager, Christie, in the press release.